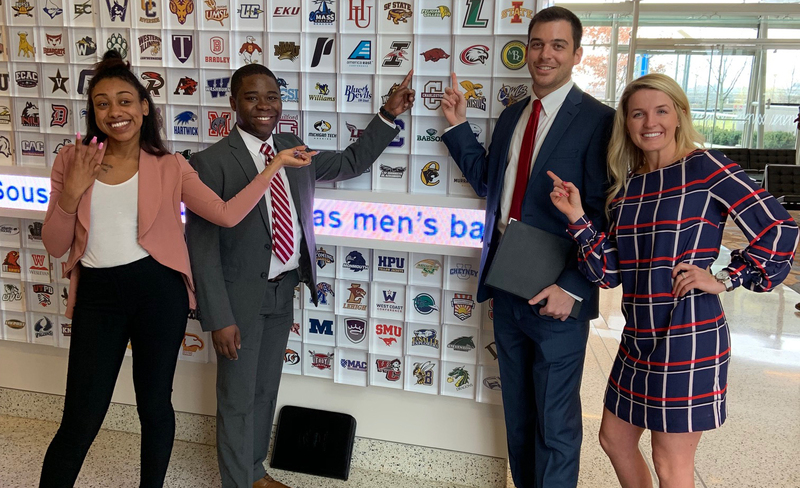 Arkansas’ Office of Student-Athlete Success graduate assistants Steve Burkholder, Grace Flowers and Earl Hill along with Director of Golf Operations Kelly Nielson attended the NCAA Emerging Leaders Seminar February 6-8 in Indianapolis, Indiana at the NCAA national office. The Emerging Leaders Seminar (ELS) is an annual professional development event that provides effective leadership, educational and transitional programing for more than 200 current graduate assistants and interns from NCAA membership schools, conference offices and affiliate organizations. The three-day program educates, develops and connects selected participants, and can increase the likelihood for rapid career progression within college sports. While at the seminar Hill, won a Social Media Engagement award for his presence on social media feeds during the three-day event.